Post regularly. The worst thing you can do while trying to grow your social media presence is not post on a regular basis or post at odd hours when nobody is paying attention (or is awake). Social media experts tend to agree that you should strive to post at least three times per week. By posting more consistently, you’ll be able to gain new followers and avoid losing existing followers who might leave if they perceive you don’t have much to offer. Like or follow other accounts. On Instagram, a common tactic for attracting new followers is to go out and find them yourself. The best way to accomplish this is by checking out other users’ posts that include a hashtag you’re trying to target with your own posts and liking a few posts for every user you’re trying to reach. You can spend 30-45 minutes per day doing this. Don’t forget to leave a comment here and there on posts because users perceive this as much more valuable (since there is slightly more effort involved than just clicking the heart button) so they’re more likely to engage with you. For instance, if you sell vegan-friendly candles, then you might check out #vegansofig and like several photos from users who also use this hashtag. By liking several posts and perhaps leaving a comment or two, users will take notice and likely go check out your own Instagram page out of sheer curiosity. This tactic is much more active than simply using relevant hashtags because your Instagram account name will appear several times in the notifications lists of people who are in your target audience. Research the most relevant hashtags. This isn’t to say that hashtags are no longer useful, of course. The problem with hashtags is that you’re competing with many other users. Make sure you’re using the most relevant hashtags with your content. There are several free hashtag analytics tools you can use to track which hashtags perform best for your industry, and these tools also can help you discover new hashtags that have low to moderate use among other social media users (the lower the frequency, the longer your post will appear towards the top of the list in a search). You also should mix up the hashtags you use to determine which ones perform best for the purpose of acquiring more followers. Additionally, you should strive for variety in the number of hashtags you use for each post. Instagram, for instance, maxes out at 30 hashtags per post, but you should use less than 20 hashtags for best results so that your post does not appear cluttered. Include several spaces between your caption and hashtags to avoid letting hashtags overwhelm your central message. Engage with current followers. This advice applies to all platforms that utilize hashtags. 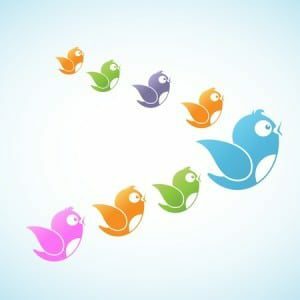 If you’re not engaging with your current followers (e.g., liking their comments, responding to comments/messages, publishing the occasional shout-out post to demonstrate your appreciation), then new followers will likely take notice and leave sooner than if you dedicated more time to building relationships with your followers. Yes, it requires extra effort, but that effort can go a long way when it comes to retaining and attracting followers on social media.